The Surging Stock Market: Too Late to Buy? Main Street is starting to stampede. As the stock market surges to new highs, ordinary investors who missed a lot of the rise have been rushing to jump on board. So far this year they’ve poured $58 billion into stocks via mutual funds, according to the Investment Company Institute, the mutual-fund trade organization. That’s the biggest first half for mutual funds since the last big boom, in 2007. It’s easy to see why. Most people find it very hard to resist a crowd. (Economists call this “herd behavior.”) And with the Dow Jones Industrial Average nearing 17000 (compared with less than 7000 in 2009) it can seem like everybody is making easy money except you. “Be fearful when others are greedy, and greedy when others are fearful,” advisesWarren Buffett, the most successful investor in history. His meaning: The market is never so dangerous as when everyone else is optimistic and share prices have already risen a long way. Indeed, historically, you could have made money by investing in stocks when the public was selling, and selling only when the public was buying. At current levels U.S. stocks in particular are very expensive by long-term measures, such as those which compare stock prices to dividends, the value of company assets or average earnings from the past 10 years. Many on Wall Street say a correction is long overdue. The Federal Reserve is winding down the easy-money policy which has helped drive up stock prices. Those who are too bullish on share prices at current levels are often guilty of engaging in a circular argument that stocks must be a good investment because they have already risen a long way. Many of those arguing that shares are a good investment today always say that. They were making the same argument in 1999 and 2007, before the last two crashes. Others making the argument are fair-weather friends, and were advising investors to sell in 2009. Fund firm GMO, which called it correctly in 2007 and 2009, says its outlook for stocks is the worst since 2007. The stock market is inherently volatile. Even when it has generated superior returns it has done so unevenly, falling then rising again. Too many investors plunge into the market after a boom, only to sell again in panic when prices fall. Shares can prove a poor investment over one, two or even three years. Historically, the risks of investing in the market have declined the longer one invests. Strategists usually advise that you invest in stocks only with money you don’t expect to need for four or five years. You can minimize the risk of investing all your money at the peak by doing it slowly and in stages. A simple strategy is to invest an equal amount of money every month, or every three months, taking at least a year to commit all your funds. If share prices go up during that time, you’ll have the psychological cushion of some paper profits to show for your initial investments as you commit more money. If share prices go down, on the other hand, you’ll have the relief that you didn’t commit too much money at higher prices. It is a beginner’s mistake to put too much money into the stocks or assets that have already risen the most. During a boom, that typically includes the most volatile assets, such as small-company stocks and the stocks of companies hoping for the most growth. Those are the assets most vulnerable to a pullback. 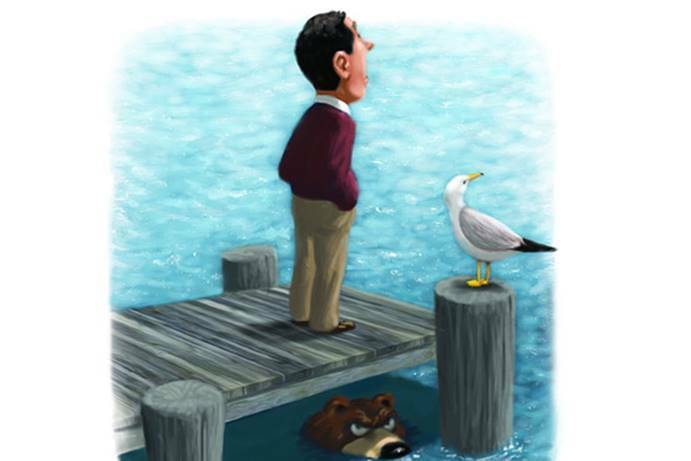 Investors can reduce the dangers by committing in advance to a balanced portfolio that includes less-volatile assets, such as government bonds, which offset high-volatility stocks. During every boom there are always some who lose sight of what a stock really is. They talk about “beta,” “growth stories” and “blue sky valuations,” forgetting that a stock is simply a claim on a company’s future cash flows. The less you pay for those cash flows, the better the deal. The more you pay, the worse the deal. Decades of research shows that those who invest by this principle earn superior returns with lower risk. Stocks that are cheap in relation to their net assets, per-share earnings and dividends have proved the best investments over time. Stocks in the best-quality companies (those with the best balance sheets and most stable businesses) have proved better investments over time than the rest of the market, while also entailing lower risk. They also are particularly good investments during stock-market downturns and recessions. Today, a variety of mutual funds and exchange-traded funds focus on “high quality” stocks, such as Apple, AAPL -0.09% Exxon XOM +0.53% and Johnson & Johnson. U.S. stocks have risen much further lately than those of other countries, including many in Europe and Asia. At current levels U.S. investments may entail higher risk, and possibly lower long-term returns. Focusing your investments too much on your home country’s market is a common beginner’s mistake. Professional money managers often go along with this in order to get along. But it has no justification in theory or practice. You can lower your risk by investing in global stock funds rather than in the U.S., giving yourself adequate exposure to developed overseas markets such as Japan, Germany and the U.K. and so-called emerging markets such as Brazil and those in Southeast Asia.